Born in Hollywood to singer and film star Allan Jones (“A Night at the Opera,” etc.) and actress Irene Hervey, Jack Jones made his professional debut at 19 with his father in Las Vegas and soon thereafter signed a recording contract which produced his fist hit, “This Could Be The Start of Something Big.” His two Grammys were for the singles “Lollipops and Roses” and “Wives and Lovers,” which was also nominated for Song of the Year. 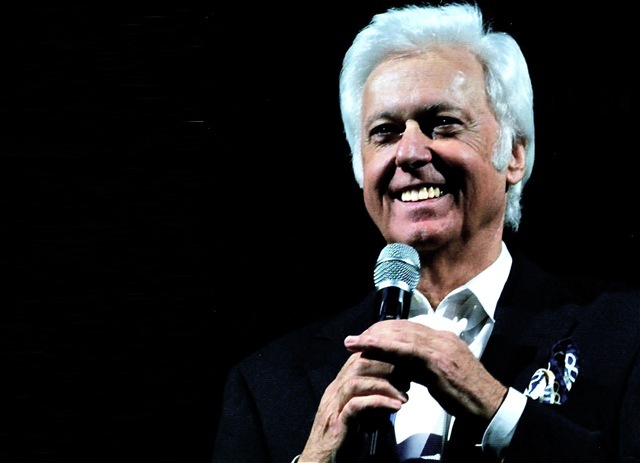 With more than 50 recorded albums (17 of which made Billboard’s Top 20), Jack Jones continues to charm audiences worldwide with his wit, sensitivity and amazing vocal power. Jack’s credits include guest performances at Carnegie Hall, the Kennedy Center and the White House. He recorded the theme songs for the film Love With a Proper Stranger and the hit TV show, “The Love Boat.” A recent release, Jack Jones Paints a Tribute to Tony Bennett, pays homage to a friend and influence, a group that also includes Mel Tormé (who called Jack ‘the greatest pure singer in the world), Billy Eckstine and Frank Sinatra. His latest release is Love Makes the Changes: The Lyrics of Alan and Marilyn Bergman.